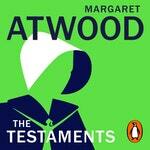 The Testaments is the sequel to The Handmaid’s Tale and is narrated by three female characters. It will be published worldwide on 10 September 2019. 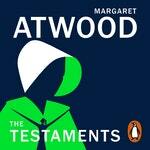 It’s set 15 years after Offred’s final scene, the moment when the van door slams and she is about to be driven off to an uncertain future – one either of freedom, more torture and imprisonment, or even death. We just don’t know. 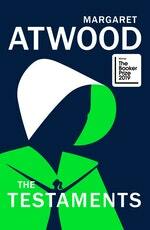 First published in 1985 by VINTAGE imprint Jonathan Cape, The Handmaid’s Tale was shortlisted for the 1986 Booker Prize. Eight million copies have been sold globally in the English language. When Donald Trump was elected in November 2016, Handmaids became a symbol of the movement against him, standing for female empowerment and resistance in the face of misogyny and the rolling back of women’s rights around the world. 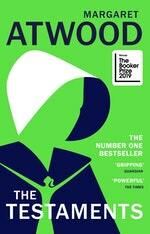 In 2017 the TV adaptation of The Handmaid’s Tale starring Elisabeth Moss and Joseph Fiennes launched, Atwood’s novel spent 16 weeks back on the Sunday Times bestseller list and VINTAGE saw book sales increase by 670% year-on-year. The TV show has been nominated for 18, and won 6, Emmy Awards across two series. A third series is currently in production.